What happens when an artist disengages, psychically if not ideologically, from the margins? Can those in the mainstream responsibly acknowledge and harness their status toward progressive art in the US and elsewhere? 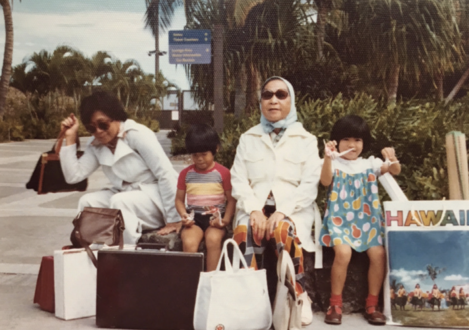 These pressing questions inform the narrative structure of the installation Aloha to the World at the Don Ho Terrace, an imagined meandering to and from Hong Kong (and possibly back in time) from where Christopher K. Ho emigrated at age four. This solo exhibition, which includes a 35-foot tall banner, artifacts from a defunct Hawaiian hotel co-owned by Ho’s grandfather, and signage mimicking the hotel’s grand entrance, grapples with reverse diasporic aspirations, and, particularly, the affective shift from being a part of ethnic minority in the United States to rejoining the Han majority.